This book is 2,300 pages long (2,816 if you include the indeces). It's four inches thick. 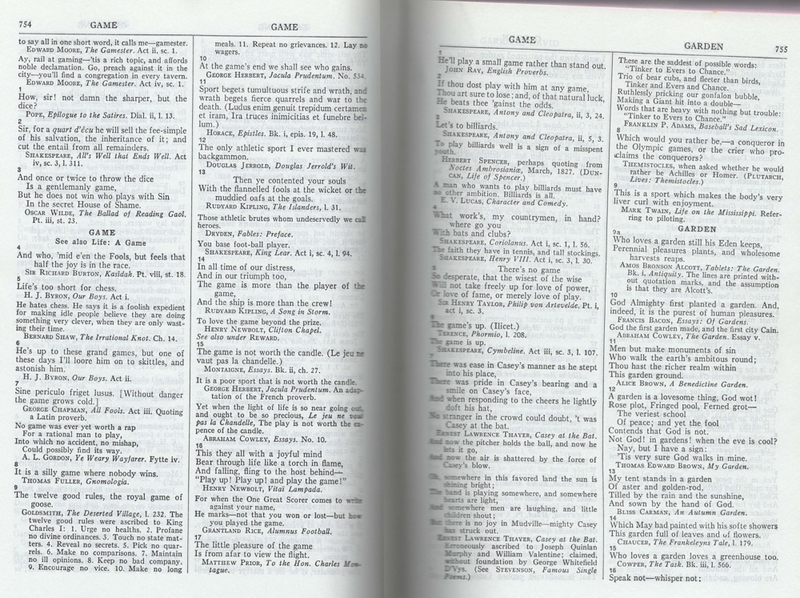 In all those pages, the most it can manage is three columns on games. I don't believe that this is a reflection of the editorial decisions of the compiler (although it could be); rather, I suspect it's that no-one famous ever said much about games.